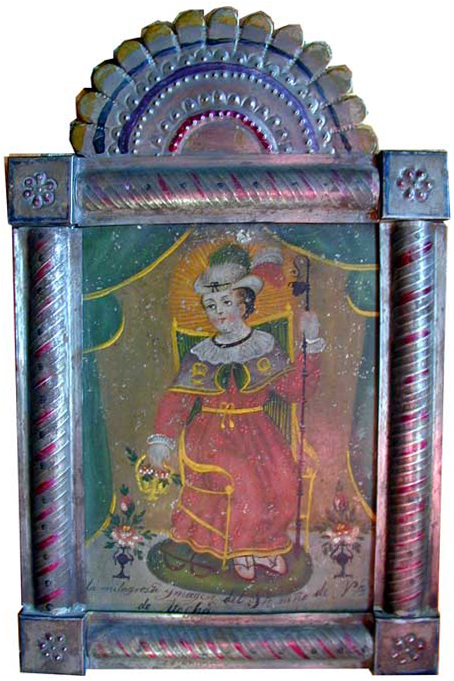 19th century painting on tin in handmade tin frame. At the end of the Moorish occupation of Spain, in the city of Atocha, Spain, many Christians were imprisoned. The Moorish conquerors forbade all persons from entering the prison on errands of mercy with the exception of small children. The Mothers and wives of the prisoners prayed for divine aid in bringing solace to the captives. According to the legend, Christ had returned in the form of a child to answer the prayers of the women of Atocha. Since this time, the image of the infant Christ carrying food and water has been known as the Santo Niño de Atocha (Holy Child of Atocha). The image is very popular in Mexico and throughout Latin America. 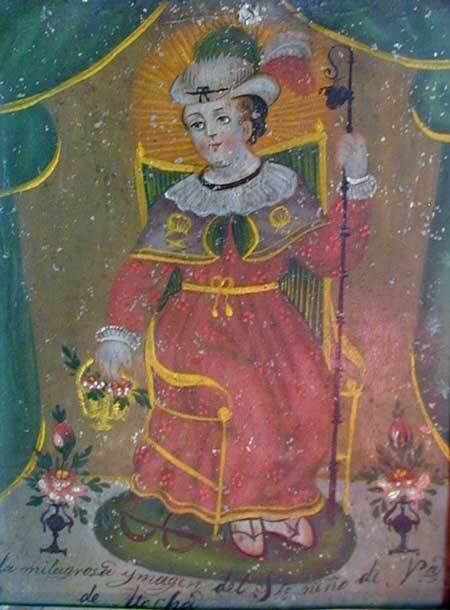 The Holy Child of Atocha is the patron saint of those unjustly imprisoned.